SANTA ROSA, Calif. September 7, 2017 – Ask any winegrape grower to describe the grape harvest in Sonoma County and you typically hear “harvest time is like a marathon.” When it comes to the 2017, harvest has taken off like a sprint and the pace shows no sign of letting up until the end of harvest. August delivered some of the longest, hottest periods seen in years which caused heat stress for both grapes and people. In some AVAs, it became too hot for too long causing sugars to rapidly increase – in some cases faster than the grapes were maturing. Some growers increased their irrigation cycles to avoid excessive sun damage to the vine leaves and fruit. Rapid increases in brix levels resulted in some grapes being harvested as quickly as possible, while in other parts of the county later varieties were being irrigated to keep the grapes from dehydrating. 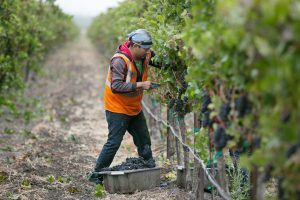 The other primary challenge facing Sonoma County winegrape growers is the availability of labor. While there is not a critical shortage this season, it is clear that there is a limited supply with more workers needed, especially in the coming years. To combat the tight labor market, more growers are turning to mechanical harvesters in addition to using hand harvesting and picking fruit at a riper level. All growers agree that it will only become more difficult to secure the necessary skilled labor force in the future. However, many growers are talking about the increased skill level of the agricultural workers this year. With early September bringing a much needed cool down, the sparkling wine harvest is mostly complete. Throughout Sonoma County, harvest has begun for most varieties of grapes including Zinfandel, Chardonnay, Pinot Noir, Sauvignon Blanc, Viognier, Muscat, Gewurztraminer and Malbec. The harvest of Cabernet Sauvignon grapes is expected to begin in earnest in the middle of September. Most growers anticipate harvest being complete in mid-October. Excellent quality and great flavors are offsetting concerns about near normal or slightly below normal yields throughout the Russian River Valley AVA. The frequent heat waves this summer have reduced yields in many blocks while creating a challenge to plan and coordinate the harvest. According to Duff Bevill, a partner in Bevill Vineyard Management, he is in full harvest mode for the next five to seven weeks, and the sustained heat resulted in him having to harvest some Zinfandel blocks earlier than expected. For other growers, the Chardonnay and Pinot Noir harvests are commencing this week, followed by the start of the Cabernet Sauvignon harvest in the middle of the month. Heat is the common concern throughout Dry Creek Valley with growers monitoring the brix levels on a frequent basis, as they anticipate it will result in a slightly earlier harvest throughout the AVA. Patrick Taylor, co-owner of Taylor Family Vineyard reported that the early heat waves in July – followed by cooling fog and ending up with a late August heatwave – have caused brix levels to sky rocket. 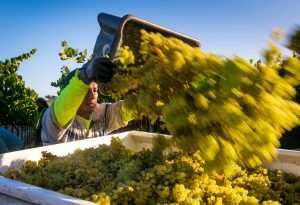 The Sauvignon Blanc harvest has begun, while the Zinfandel and Syrah harvest should begin shortly; Cabernet is expected to be fully ripened by the latter part of September. The harvest is getting underway throughout most of Alexander Valley with the overall grape quality looking excellent with an average yield. The harvest of Zinfandel and Sauvignon Blanc grapes has been ongoing for the past ten days. The harvest of Pinot Noir and Chardonnay are both just beginning. Merlot, Gewürztraminer, Malbec, Petite Sirah, Cabernet, Zinfandel and more are still to be harvested over the next month and a half. Throughout Alexander Valley, a supply of skilled labor remains a top concern. Harvest is ramping up throughout the Sonoma Valley AVA, as the recent heat wave spiked sugar levels and pushed all varieties to an earlier harvest. Many growers are predicting that if the weather continues to be warm throughout September, the majority of the fruit in the AVA could be picked by the end of the month. The continued winter rains and mild spring created some ideal growing conditions early, which should pay off with some very high-quality grapes at average yields. 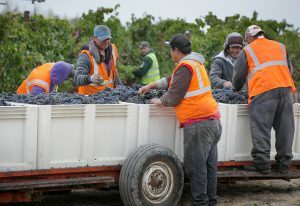 Taylor Serres, COO of Serres Ranch, reports that quality is above average across the board, though the harvest has begun earlier than anticipated. The concern looking ahead is all varieties ripening at the same time due to the August heat wave. Initial reports indicate an average to higher than average yields, and excellent quality throughout the Chalk Hill AVA. Harvest is expected to begin in September and be completed by early October. A primary concern throughout the AVA is the availability of skilled labor. Most growers are looking to do as much work by machine as possible and anticipate more machine harvesting in the very near future. If you want up-to-the-minute updates on Sonoma County’s harvest activities directly from our grape growers and wineries, the Sonoma County Winegrowers have created an online Harvest Tracker to help everyone stay informed on what’s happening in our vineyards and cellars. 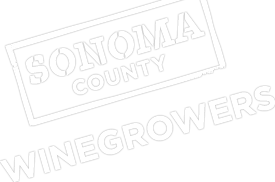 Visit the Sonoma County Winegrowers Harvest Page for the latest news and use the hashtag #SCHarvest on social media.